New Client: San Juan Hills, Inc.
We are proud to announce that San Juan Hills, Inc. has selected Tinnelly Law Group as their association legal counsel. 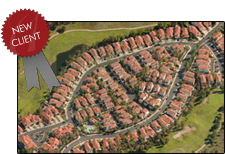 San Juan Hills is a gorgeous gated community nestled in the lush hills of San Juan Capistrano. Along with a pool and spa, residents can enjoy a large deck area and on-site gym. This community is surrounded by the San Juan Hills golf course, close to historic downtown San Juan Capistrano, and has miles of nearby hiking and biking trails. Our HOA attorneys and staff are privileged to have the opportunity to work with San Juan Hills’ Board and Management.